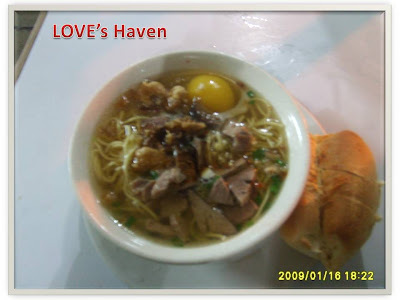 This is one of Cagayan de Oro's delicacy: La paz Batchoy known to be the most super delicious batchoy in our city of Golden Friendship. After a very long and tiring work for the whole week, I asked my hubby to bring me there cause I want to sip their sizzling soup. I guess the food is great for the bad weather that time. Looks good. Hot soup on a cold day is always good. I haven't tasted this for a couple of years already. It looks so yummy. I love batchoy!!!! that's our favorite food of my barkadas! I love bachoy, my favorite when I was in the Phil..
omigosh! bachoy!!! i love Bachoy and I am soooo craving for it now that I am looking at it.